The weather is changing, the temperature is rising, kickstart your Spring skincare routine with this month’s Mintd Spring Clean Beauty Box. Another beauty box you say? Yes I know. First of all I haven’t succumbed to any beauty box service prior to Mintd, the reason why Mintd stood out to me is that this is a LUXURY beauty box at amazing value. They give the flexibility to subscribe monthly or bi-monthly . . . giving you time to use your FULL or DELUXE size products that arrive on your doorstep before the next lot arrive. This month’s box includes an amazing £186 worth of products that will re-boost your skin for the new season. The Mintd Box will only feature luxury beauty products from the most innovative, premium brands. They work directly with brands to bring you the freshest (therefor most effective) of products with NO SAMPLE SIZES. 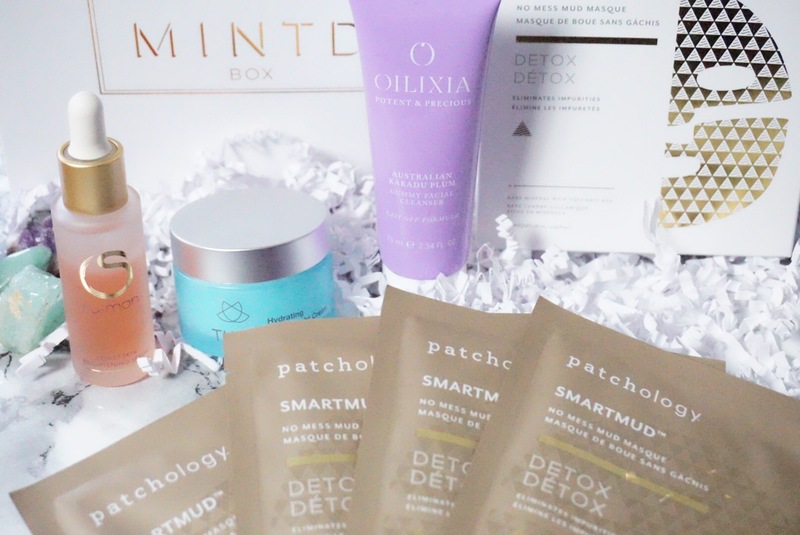 If, like me, you love to discover the newest and most innovative skincare brands, the Mintd box is for you. It is not cheap but it is great value. A £65 per month (monthly or bi-monthly) subscription will get you a minimum of £135 worth of 4-5 full/deluxe size products to your doorstep. You get to explore the latest and greatest in the world of beauty while, what I like to think of as a personal shopper, has done all the research and shopping for you. MARCH’S Spring Clean Beauty Box includes 4 full size products. The beauty of each of these products is that they all fit seamlessly in to my skincare routine, nothing is going to get shoved in the back of the cupboard, the collection is well thought through. The Spring Clean edit promises to help my skin transition from winter to spring. As spring arrives it’s important to incorporate new products within our beauty regime to help our skin adapt to the climate shift. 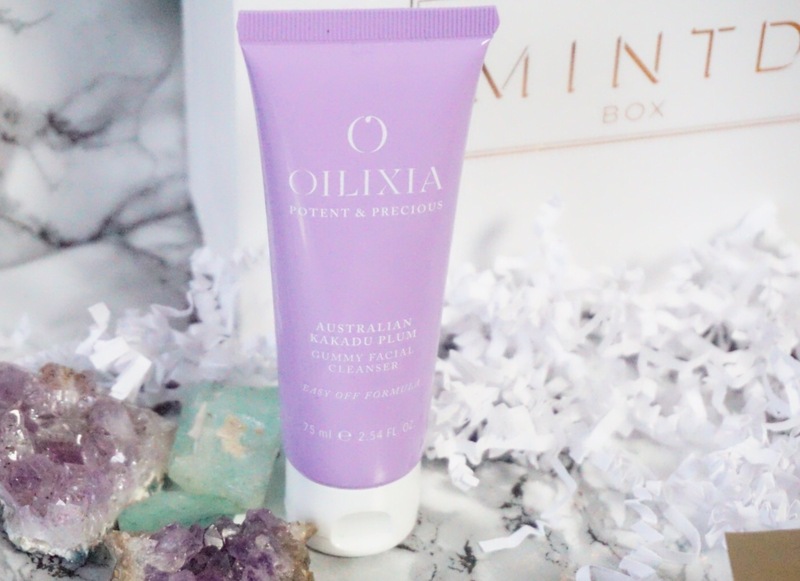 The word ‘gummy’ made me so excited to try the Oilixia Australian Kakadu Plum Gummy Facial Cleanser. I loved it! It’s quite fun to use, it is a gummy like texture that you press and lift into DRY skin, effectively lifting the dirt off in its stickiness then you mix with a bit of water for it turn into a cleansing milk leaving a light veil of nourishing oils to help protect skin. It is not the fastest of cleansers but it is definitely effective. It features Kakadu Plum – one of the best natural sources of antioxidant vitamin C, it’s also rich in phenolic acid, it gently exfoliates skin for a brighter appearance and smoother texture. This is a full size 75ml cleanser that retails at £24.00. HOLY SHEET!! It’s mud without mess. The one thing I hate about mud masks is the mess. Normally it gets under my nails, all over my skink, on my towels . 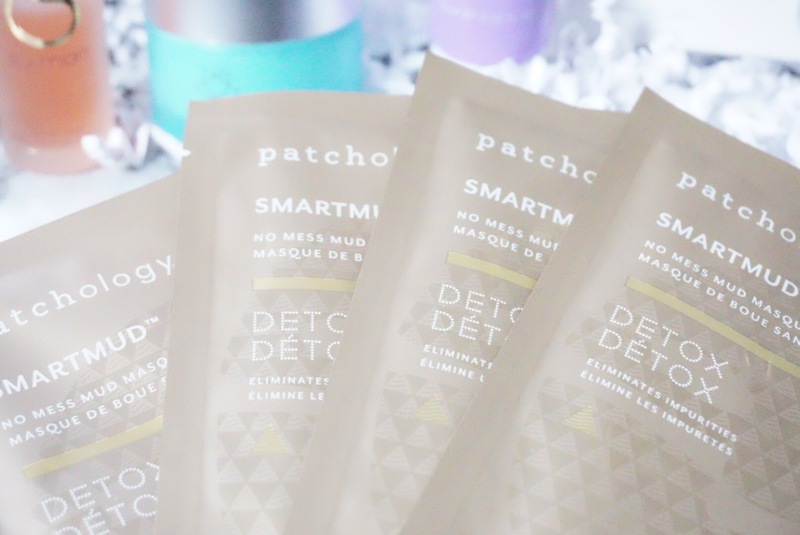 . . so thank you Mintd for introducing me to these because Patchology SmartMud Masques are definitely the solution. With NO mess the Smartmud mask is easy to apply and leave on for a minimum of 10 minutes while you get your glow back. The fine volcanic ash acts like a magnet and pulls the smallest particles of debris from your skin. It eliminates environmental toxins, dirt and dullness in one step . . . the perfect followup after using your new Oilixia cleanser! It is the easiest mud mask I have ever used It’s the neatest way to clear up your complexion and clean out pore-clogging debris without the dry, tight feel of a traditional mud mask. You’re left with a healthy, youthful glow. This is a full size pack of 4 that retails at £24.00. 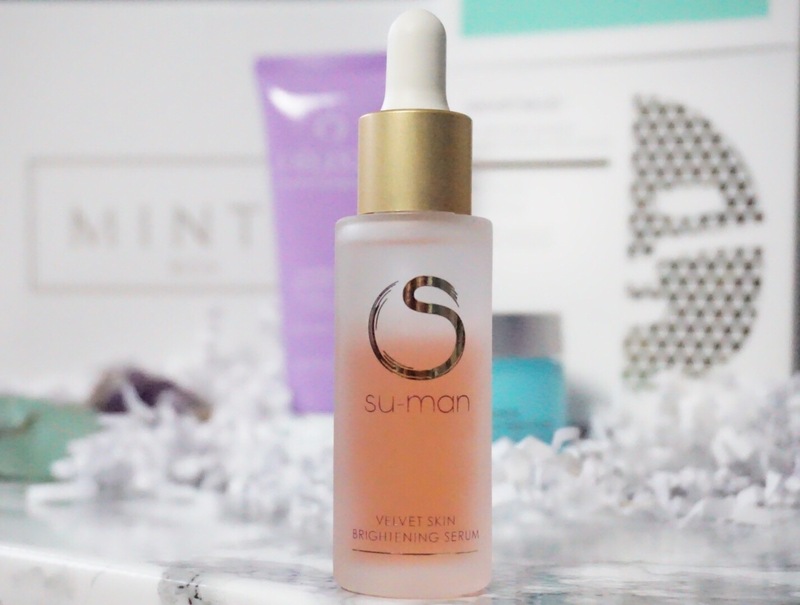 Described by Elle as ‘Liquid rose petals’, Su-Man’s multi award wining Velvet Skin Brightening Serum delivers a heavenly boost of radiance, comfort and velvet softness. Velvety was the first word that came into my mind when I first applied this serum. To keep the ingredients at their most active, they are not pre-mixed. Shake the bottle to activate the serum and turn it into a jelly like texture that disappears into your skin. Filled with potent ingredients to plump up fine lines and smooth the texture of your skin. Dragon’s Blood (plant derived) has powerful protective, regenerative and anti-ageing properties to heal the skin. Forming a ‘second skin’ that acts as a barrier to protect your skin from the environment, it allows your skin to repair and reconstruct. It’s silky texture is instantly absorbed leaving your skin with no trace of product and almost matte-like. One drop of this serum goes a long way. 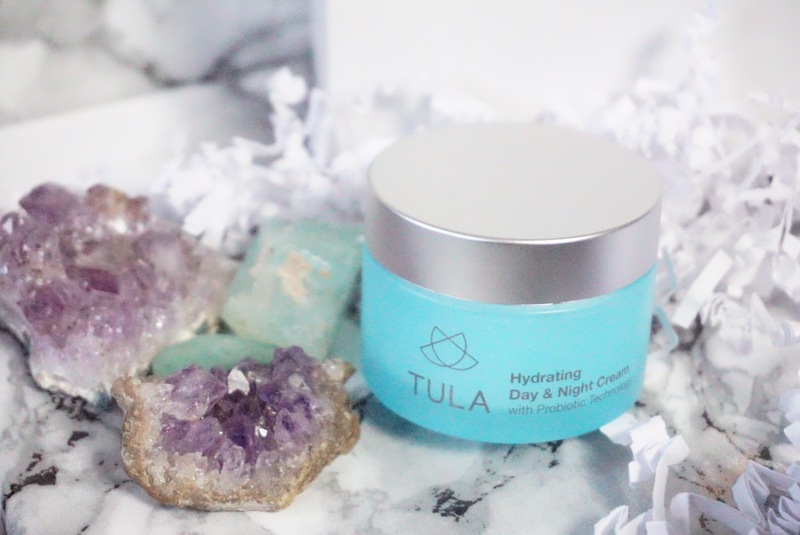 Finally the Tula Hydrating Day & Night Cream is like an anti-ageing multivitamin for your skin. As someone with quite reactive skin, I already had a love for probiotics in skincare, I find them very calming if my skin is feeling red or irritated and this innovative moisturiser doesn’t disappoint. Delivering antioxidant protection to curb the sins of ageing while nourishing it from within. It is lightweight enough for day time and hydrating enough for night time, helping to maintain a healthy complexion day and night. It contains Tula’s signature probiotic technology to leave skin nourished and balanced. This is a full size 48g tub retailing at £40.00. No phthalates, parabens, mineral oil, petrolatum, propylene glycol, sulfates or gluten. You can use ALL the Mintd Spring Clean products together in under 30 mins to give your skin that spring fresh lift. 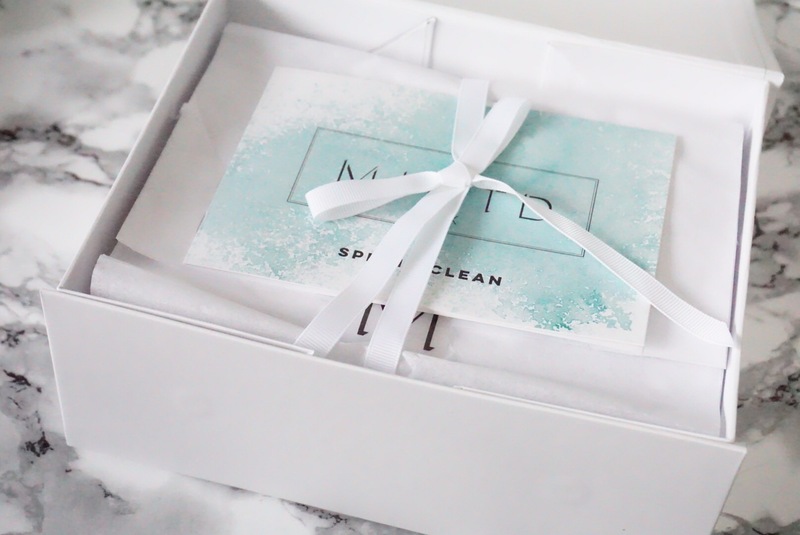 The products in the Spring Clean Mintd Box are found in the likes of Harrods, Net A Porter & Selfridges. If luxury beauty is your thang, instead of buying these high-end products for full price in store save £121 by ordering the Mintd Spring Clean Box. You can subscribe to Mintd here, with FREE WORLDWIDE delivery for all my international readers with code WELCOME17. You can check the FAQ section of the website for further questions. Follow me on INSTAGRAM, TWITTER, BLOGLOVIN!